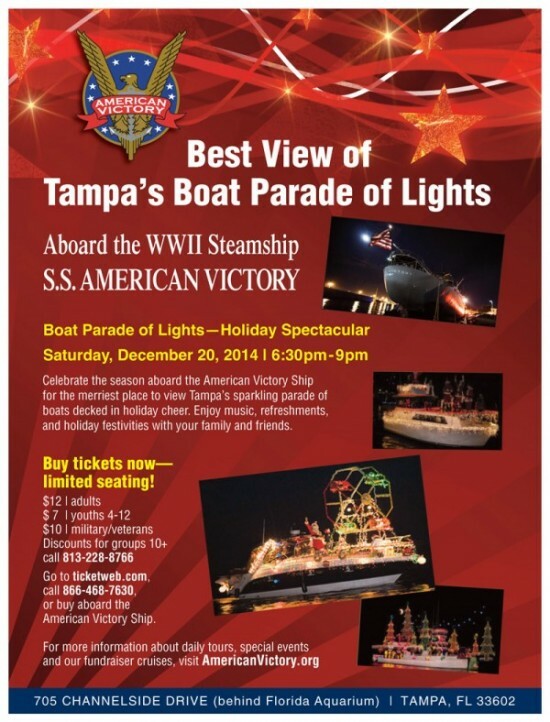 Celebrate holiday ‘Boat Parade of Lights’ with the best view in town, aboard the historic WWII Steamship, S.S. American Victory on December 20, 2014. This event is hosted as a fundraiser to help support the maintenance of the historic merchant steamship and national landmark. Enjoy music, refreshments, and holiday festivities with your family and friends!